Founded in 1981, Agate Construction is based in Clermont, New Jersey, approximately 20 miles south of Atlantic City and 50 miles southeast of Philadelphia, Pennsylvania. James E. Johnston, Jr., Chairman and CEO, is a Civil Engineering graduate of Manhattan College and licensed Professional Engineer. In 1992 Johnston’s son James, III, a graduate of Pennsylvania State University, joined the company. Since that time he has served in various capacities including Project Manager, Estimator and Director of Operations. In June 2004, Johnston was named President of Agate. After starting with the Nuclear Division of the Chicago Bridge and Iron Co. and then with Scientific Design, an international petrochemical design/build firm, Johnston gravitated to southern New Jersey and worked for two area contractors, becoming well versed in the nuances of the state’s heavy highway and marine construction industry before starting Agate Construction. Agate focuses on challenging projects that involve groundwater control, structures in the tidal zone and marine elements. Agate has completed projects throughout New Jersey, Southeastern Pennsylvania, Delaware and Lower Manhattan. 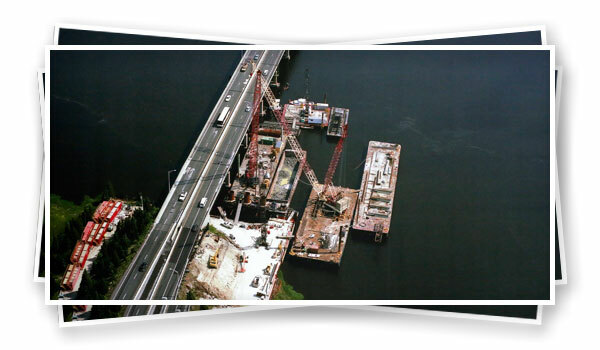 Recent significant projects include over $40 million of outfall and rock groin construction in Deal, NJ; a $20 million marine based, 6 span bridge for Monmouth County in Red Bank, NJ and a $36 million storm drain and pump station project for the NJDOT in Bayhead and Mantoloking, NJ. 1981 - 1992 Agate Construction’s first large-scale work in southern New Jersey involved an addition to an existing wastewater treatment plant and expanding a county recycling center. Bridgework, additional treatment plant projects, stone sea walls and jetties in Cape May, North Wildwood and Monmouth Beach, NJ followed these efforts. 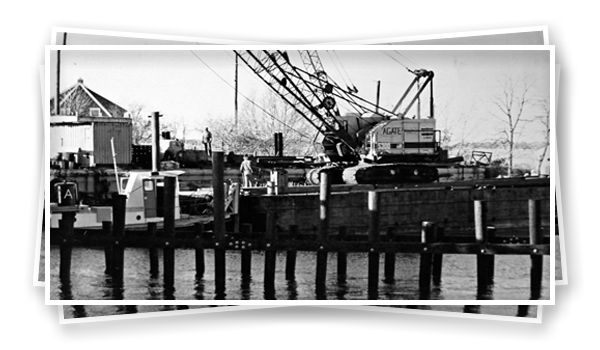 One of Agate’s most notable successes in the 1980’s was the reconstruction of three timber bridges on Great Bay Boulevard in Tuckerton. At the time, it included the longest pre-fabricated timber bridges on the East Coast. 1992 - 2004 In pursuit of new challenges in the 1990’s, Agate Construction ventured to areas north and west of southern New Jersey. Working in Manhattan, Agate constructed a new six-hundred-foot pier on the East River, just off Wall Street, as well as a 700 foot promenade in front of the new minor league baseball stadium in Staten Island. At the same time, Agate also completed work in Pennsylvania. Philadelphia is home to the firm’s largest completed work-to-date. 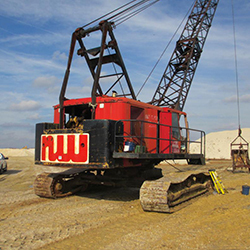 Awarded a $22 million contract, Agate successfully installed 8,400 steel piles, at depths of 120 feet, at the Kvaerner Philadelphia Shipyard. 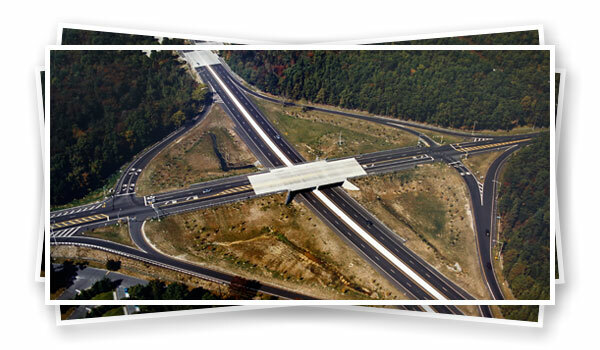 Another notable project, in addition to this work, was the completion of the Route 322 & Interstate 50 in Mays Landing, which was an $8.4 million NJDOT modified design/build project. 2005 - TodayOver the last years, Agate’s diversified type of work completed has remained but the scope has grown larger. 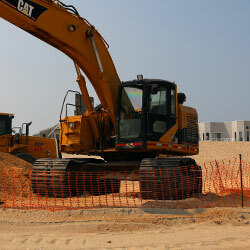 In 2005 -2006, Agate completed a 1500’ seawall with 80,000 tons of rock along the Hereford Inlet in North Wildwood, NJ. Agate then completed it’s largest project to date, a $53 million bridge over the Mullica River on the Garden State Parkway. This project spanned from 2008 to 2011. In 2016 Agate Construction has started its largest subcontract project to date. Agate has earned a subcontract with Manson Construction and constructed outfalls as well as repaired stone groins as part of a US Army Corps of Engineer beachfill project in Deal, NJ. The signature feature of the project was a 1,000’ outfall made up of twin 96” reinforced concrete pipes. The project has challenged Agate’s expertise in water control as we constructed the outfalls in a dynamic beach environment with the Atlantic Ocean pounding on our worksite. To find Estimates Currently Bidding and Current Project Files please click the image below. Replacement of the bridge decks, sidewalks, railings and median. Installation of state-of-the-art technology Variable Message Signs (VMS). Installation of a more resilient navigational channel and safeguards. 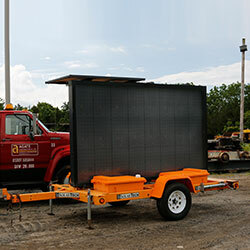 Listed below is the equipment currently for sale by Agate Construction. If you have any questions please do not hesitate and give us a call! We are always searching for qualified, innovative professionals looking for a career where they will have an opportunity to grow and to make a difference in a very challenging industry. Senior Project Engineer - A person with a four year engineering degree, PE preferred. At least 5-10 years of design engineering experience. •	Bridge/heavy civil, dam, concrete, steel, pile driving, cofferdam and marine experience beneficial. Project Manager - Individual with 10-15 years of field experience in marine, road/bridge, and site work. CE degree preferred, but not required. Estimator - Degreed individual with 7-10 years of experience in estimating PennDOT and/or New Jersey DOT jobs. The position is located in the Southern New Jersey/Philadelphia area. A Civil Engineering degree is preferred and experience in HCSS/HeavyBid is a plus. Project Engineer - Civil Engineer with 3-5 years experience in marine, road/bridge, and site work. Asst. Project Engineer/Field Engineer (entry-level position) - Recent Civil Engineer graduate with excellent written and verbal communication skills, working knowledge of Microsoft Word, Excel, and Outlook. Must demonstrate attention to detail and organizational skills. Superintendent - Supervision experience with marine, road/bridge and pipework. 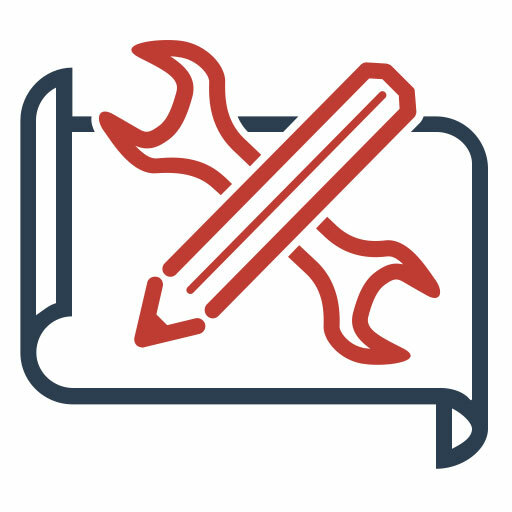 Mechaninc & Mechanic/Welder - Needed for work on heavy highway trucks and equipment. Crane experience a plus. 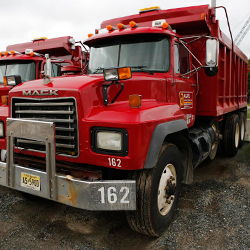 Truck Driver & Low Bed Driver - Hiring CDL Class A truck drivers with a clean driving record to haul heavy equipment and materials. Agate Construction offers a generous benefits package including paid health insurance, life insurance, employer matching 401(k), paid vacation and sick time as well as paid holidays. To download an application please click the button below. If you have any questions, please contacs us. Copyright © 2019 Agate Construction Co., Inc.
Design by Agate Construction Co., Inc.